“The Achilles Heel of Competitive/Adversarial Systems” in Ned Dobos, Christian Barry and Thomas Pogge, eds. 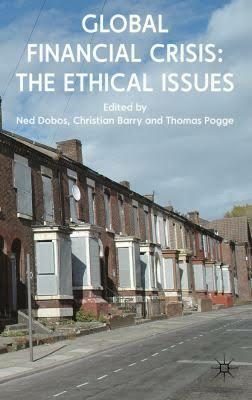 : Global Financial Crisis: the Ethical Issues (Basingstoke: Palgrave Macmillan: 2011), 120–131. “A Future to Avert: Law as Contributor to Instability and Polarisation” in Sam Muller, Stavros Zouridis, Morly Frishman and Laura Kistemaker, eds. : The Law of the Future and the Future of Law (Oslo: Torkel Opsahl Academic EPublisher 2011), 57–68. “The Idea of Justice from a Rawlsian Perspective,” authored with Markus Labude, Journal of Human Development and Capabilities 11/4 (2010), 609–613. “Advancing the Scope of Gender and Poverty Indices: An Agenda and Work in Progress” in Sylvia Chant, ed. : The International Handbook of Gender and Poverty (Cheltenham: Edward Elgar 2010), 53–58. “Justice and the Convention on Biological Diversity,” authored with Doris Schroeder, in Ethics and International Affairs 23/3 (2009), 267–278. “Comment on Mathias Risse: ‘A Right to Work? A Right to Leisure? Labor Rights as Human Rights’” in Law & Ethics of Human Rights 3/1 (2009), 39–47. “Shue on Rights and Duties” in Charles Beitz and Robert Goodin, eds. : Global Basic Rights (Oxford: Oxford University Press 2009), 113–130. “Cohen to the Rescue!” in Ratio 21/4 (2008), special issue on G.A. Cohen, 454–475. “Making War on Terrorists ― Reflections on Harming the Innocent” in Journal of Political Philosophy 16/1 (2008), 1–25; and as “Terrorism: Reflections on Harming the Innocent” in Chris Miller, ed., War on Terror: The Oxford Amnesty Lectures (Manchester: Manchester University Press 2009), 105–135; integrated into Politics as Usual as chapter 7. “Why Inequality Matters” in David Held and Ayse Kaya, eds. : Global Inequality: Patterns and Explanations, Ralph Miliband Lectures (Cambridge: Polity Press 2007), 132–147. “Review of Kok-Chor Tan: Justice Without Borders” in Mind 115/458 (2006), 494–498. “Review of Simon Caney: Justice Beyond Borders: A Global Political Theory” in Ethics and International Affairs 19/3 (2005), 101–03. “Comentario a Roberto Gargarella” 2005. “Poverty” in Rhona K. M. Smith and Christien van den Anker, eds. 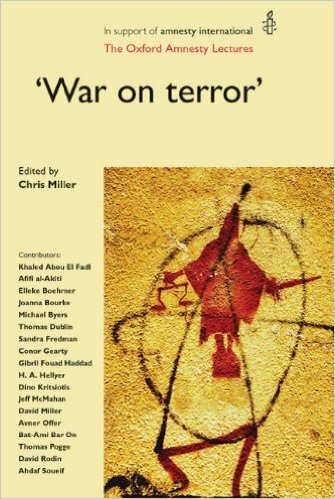 : The Essentials of Human Rights (London: Hodder Arnold 2005), 286–288. “Self-Constituting Constituencies to Enhance Freedom, Equality, and Participation in Democratic Procedures” in Theoria 49/99 (June 2002), 26–54. “Les droits linguistiques des Hispaniques aux États-Unis” 2002; English translation “Linguistic Rights for U.S. Hispanics” in Michel Seymour, ed. : The Fate of the Nation-State (Montréal/Kingston: McGill-Queen’s 2004), 295–309. Abstract: The concept of justice is applied mainly to subjects (persons and collectivities), to their conduct (actions and omissions), and to social rules (laws, social institutions, etc.). This entry focuses on the third application, that is, on social justice. — Justice is often understood as a three-place concept: Social rules are just or unjust to some recipients in virtue of their effect on what goods and ills these recipients have. This understanding encourages consequentialist (e.g., utilitarian) or contractualist (e.g., Rawlsian) conceptions of justice, which assess social rules from the perspective of recipients. But the justice of social rules depends not merely on who receives what. It also depends on how the rules affect the goods and ills recipients have, on the relation such rules establish between those who impose them and those on whom they are imposed. The concept of justice should then be expanded by a fourth place for those imposing social rules. Only by adding their perspective can one explain, for instance, that rules generating avoidable harms by requiring officials to inflict them are more unjust than rules generating equal harms by failing to deter crimes or to mitigate natural handicaps. “Philosophical Communitarianism in the United States” in Chinese, 2001. “On the Site of Distributive Justice: Reflections on Cohen and Murphy” in Philosophy and Public Affairs 29/2 (Spring 2000), 137–169; reprinted in P. Grim, K. Baynes, P. Ludlow and G. Mar, eds. : The Philosopher’s Annual vol. 23 (Stanford: CSLI Publications 2002 (ten best philosophy essays published in 2000)), 225–254; reprinted in Tom Campbell and Alejandra Mancilla, eds. 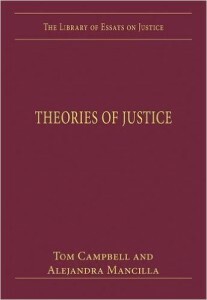 : Theories of Justice (Aldershot: Ashgate 2012), 275–307. Abstract: This essay offers a defense, against two important critics, of the aim of developing a freestanding conception of social justice. G.A. Cohen has argued that consistency requires Rawls to endorse the application of his difference principle beyond society’s basic structure to its ethos and conventions as well as to the conduct of its citizens. In response, I show that Rawls’s theory allows no plausible specification of this expansive understanding of the difference principle and provides better reasons against than for such an extension. Thus, Cohen’s internal argument against Rawls does not succeed. Supporting Cohen, Liam Murphy has argued more generally for “monism,” the view that justice requires social rules and personal conduct to be directed toward a single moral goal. But if this goal is at all ambitious, a monist theory will demand either the violation of just rules or the inculcation of (what by its own lights are) false moral convictions. Thus there are important reasons against the view that the criterion for the moral assessment of social institutions should be dependent on a comprehensive moral position that governs personal conduct as well. The task of developing such a criterion is detachable from the other topics in moral philosophy, and it should be so detached in order to facilitate an overlapping consensus on social justice among persons who differ in their religious, moral, and philosophical world views. “Justice for People with Disabilities — The Semiconsequentialist Approach” in Leslie Francis and Anita Silvers, eds. : Americans with Disabilities: Exploring Implications of the Law for Individuals and Institutions (New York: Routledge 2000), 34–53. Abstract: This essay aims to extend a relational conception of justice to the especially troubling question of what claims people with disabilities have on the design of social institutions. I take Anita Silver’s prominent account as a benchmark, attempting a constructive critique. “Accommodation Rights for Hispanics in the US” in Jorge Gracia and Pablo de Greiff, eds. : Hispanics/Latinos in the United States: Ethnicity, Race, and Rights (New York: Routledge 2000), 181–200; reprinted in Will Kymlicka and Alan Patten, eds. : Language Rights and Political Theory (Oxford: Oxford University Press 2003), 105–122. Abstract: I begin by arguing against the great moral significance Will Kymlicka attaches to the distinction between national and ethnic minorities — a distinction based on historical facts. The case of Hispanics in the US makes clear why historical considerations cannot have such significance: The moral claims of Hispanics do not vary depending on their ancestry (which, with most Hispanics, is thoroughly mixed in any case). I go on to address Kymlicka’s claim that cultural minorities bear special economic burdens requiring state compensation. First, members of minorities who want to live near one another do not, pace Kymlicka, face higher prices for immovable resources. Second, Kymlicka’s argument that speakers of minority languages bear an unchosen handicap deserving of state compensation jars with his professed liberal commitments. It would justify compensation for many unchosen natural differentials (in looks, height, talents, cheerfulness) and presses toward an equality-of-welfare view, which Kymlicka himself rejects. Third, Kymlicka’s best argument shows how the state cannot be neutral, cannot for instance conduct official business in all languages at once. But may, or should, the state therefore protect a minority’s culture by offering its children public education only in the minority language? Doing so would often sacrifice the interests of minority children in order to help other members of this minority preserve their culture. This goes against the principle that schools should serve the interests of their pupils above all else — where the most important linguistic competence is fluency in English, there schools should aim for such fluency first and foremost. To be sure, the antecedent does not hold everywhere; and fluency in English is sometimes best achieved through instruction in a child’s native language. But most minority children in the US are likely to be served best by instruction in English. This leads to a principle not of English-Only, but of English-First: While most minority children should be brought to full mastery of English, there is every reason to enable and encourage them to develop full mastery of their native language as well. Abstract: The prospects for democratic transitions and their stable preservation crucially depend also on external factors. Thus democracy in developing countries is made less likely by the fact that anyone exercising effective power in such a country is treated by outsiders as entitled to borrow in its name and to effect legally valid transfers of ownership rights in its resources. These international conventions greatly increase the incentives toward coup attempts, especially in countries with a large resource sector. Fledgling democracies may be able to improve their stability through constitutional amendments that bar future unconstitutional governments from borrowing in the country’s name and from conferring ownership rights in public property. Such amendments would render insecure the claims of those who lend to, or buy from, dictators, thus reducing the rewards of coups d’état. This strategy might be resisted by the more affluent societies whose banks, firms, and people are concerned about their international loans and cheap resource supplies. Their resistance could be overcome, however, if many developing countries pursued the proposed strategy together and if some moral support emerged among the publics of the affluent countries. Abstract: This article concerns the concept of a human right. Human rights are to be understood as claims on the institutional order of any comprehensive social systems. Six elements are incorporated in this concept: Human rights are broadly sharable, ultimate, weighty and unrestricted, moral concerns based on the equal status of all human beings. The features of the global institutional order are the decisive variable for the realization of human rights today. The primary moral responsibility for the realization of human rights must rest with those who shape and impose this order: the governments and peoples of the most powerful and affluent countries. Abstract: Making sense of the great diversity of views about human flourishing requires distinction of its main dimensions (experience, success, character, achievement) and distinction of the perspectives from which the topic can be raised. One important perspective is that of social justice: the moral assessment of social institutions in terms of how they treat those they affect. When the lives of individuals are increasingly affected by foreign and supranational institutions, we need a shared criterion of justice by which all social institutions can be assessed. To be sharable, such a criterion should be modest and abstract, invoking a conception not of what flourishing consists in, but of the essential contributors to human flourishing variously conceived: Persons need reasonably secure access to minimally adequate shares of certain goods. Contrary to received consequentialist and contractualist theories, such a criterion must differentiate among the various ways in which social institutions may affect the lives of individuals (e.g. by mandating, authorizing, or insufficiently deterring given harms). A somewhat unconventional understanding of human rights furnishes a promising candidate for such a criterion. Abstract: We should oppose not only low chauvinism, which values one (e.g. ethnic or religious) group above others of the same type, but also high chauvinism, which values cultural groups of one type (ethnic, religious, linguistic, lifestyle) above those of other types. Ethnic high chauvinism, holding that national and ethnic groups are owed greater accommodation than other cultural groups, runs afoul of the fact that the distinction between ethnic and non-ethnic groups is vague in several respects and, more importantly, of the ideal of treating citizens as equals irrespective of the character of their deeper affiliations and identifications. To live up to this ideal, we should not conduct separate debates about the rights of groups of different types, but should consider the various types of groups together, aiming for a unified account of groups and group rights within a just society. Such an account will attach no importance to whether a cultural group is of this or that type. It will instead give weight to other, cross-cutting factors, such as the role this group plays in the lives of those who are affiliated or identified with it and the strength and status of this group within society. Abstract: This essay discusses how the transition to institutional arrangements involving a greater vertical dispersal of sovereignty can be effected in a morally plausible way. I start out from the German Federal Constitutional Court’s finding that the Maastricht Treaty is consistent with the immutable article 20(2) of the German Basic Law (“all state authority emanates from the people”). I show that this finding is belied by two serious democratic deficits: The people lack meaningful democratic control over the central executive organs of the European Union and they also lack meaningful participation in designing the emerging European institutions. I then concentrate on the latter, second-order democratic deficit, arguing that — though often presented as a philosophical or pragmatic necessity — it is in fact avoidable through a decision procedure that would allow the people of Europe themselves to determine the constitutive features of their Union: its geographical domain, the scope of its authority, and the procedures through which it exercises its powers. Reflections on how a democratic supranational order can be shaped democratically — though they come rather late for the EU — may be of great political relevance for other continents and especially for the world at large. Abstract: Outside the sphere of positive law, the idiom of human rights, like those of natural law and natural rights, picks out a special class of moral concerns that are among the most weighty of all as well as unrestricted and broadly sharable. It is more specific than the other two idioms by presenting all and only human beings as (equally) sources of moral concern and by being focused on threats that are in some sense official. The latter specification can be explicated as follows: By postulating a right to X as a human right, we assert that every society (or other relevant social system) ought to be so (re)organized that all its members enjoy secure access to X (with the required degrees of security being relative to what is feasible overall). By not organizing itself in this way, a society expresses official disrespect for the human right in question — esp. if insecure access to X is due to the threat of official violations, i.e. to persons’ being denied X or deprived of X by those in positions of political authority. The members of such a society violate a negative duty of justice: the duty not to participate in the imposition of unjust social institutions, if they do not do what they reasonably can do toward initiating and supporting appropriate institutional reform. The proposed understanding of human rights undercuts one important objection to the admissibility of social, economic, and cultural human rights, as these, too, can now be understood as entailing only a negative duty: not (avoidably) to impose upon one’s compatriots a social order under which they lack secure access to basic necessities. Moreover, one can argue that even classic civil rights have social and economic aspects: To secure freedom from inhuman and degrading treatment, for instance, a society may need to do more than introduce and enforce appropriate criminal statutes. It may also need to establish adequate social and economic safeguards, ensuring perhaps that domestic servants are literate, know about their rights and options, and have some economic security to mitigate the fear of losing their job. “Utilitarianism and Equality” in Midwest Studies in Philosophy 20 (1995), 332–339, and as “Does Utilitarianism Favor Economic Equality?” in Edgar Morscher, Otto Neumaier, Peter Simons, eds. : Applied Ethics in a Troubled World (Dordrecht: Kluwer 1998), 237–244. Abstract: A brief, somewhat technical argument for a counter-intuitive conclusion: A utilitarian criterion for the moral assessment of social institutions does not have an important advantage claimed for it (e.g., by Abba Lerner and Brian Barry): It does not, even on the assumption of decreasing marginal utility of income and wealth, favor economic institutions designed to promote egalitarian such distributions. “‘Just are the Social Institutions that are Best for their Participants’: A Critical Examination” in Herlinde Pauer-Studer, ed. Norms, Values, and Society, Vienna Circle Institute Yearbook 2 , (Dordrecht: Kluwer 1994 [pb 2010]), 57–72. Book Note: “Rosenau, James N. and Czempiel, Ernst-Otto, eds. : Governance Without Government: Order and Change in World Politics” in Ethics 103/4 (July 1993), 859. Book Review: “David Gauthier: Moral Dealing: Contract, Ethics, and Reason” in Canadian Philosophical Reviews 10/12 (December 1990), 492-494. 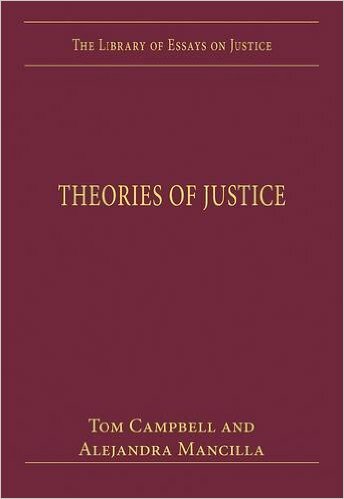 Book Review: “Brian Barry: Theories of Justice” in Journal of Philosophy 87/7 (July 1990), 375–384. Book Review: “Richard E. Flathman: The Philosophy and Politics of Freedom” in Canadian Philosophical Reviews 7/12 (December 1987), 487-489. Book Note: “Thompson, Kenneth W., ed. : Moral Dimensions of American Foreign Policy” in Ethics 96/3 (April 1986), 671.